Big news, everyone — news that's worth rejoicing at, even. According to Deadline, Roxane Gay just landed her first movie deal. 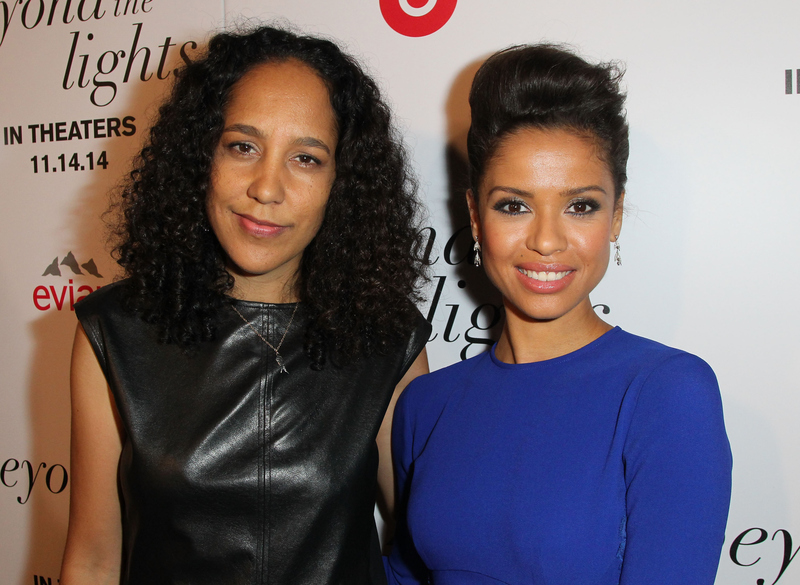 The writer announced on her Twitter she sealed a deal with Fox Searchlight to co-write a screenplay of her novel An Untamed State, alongside Beyond The Lights helmer Gina Prince-Bythewood, who will direct the project. Even better: The amazing Gugu Mbatha-Raw is set to star. (Did I mention everyone on this just-announced project is amazing?) This project is a film created by a triumvirate of powerful, talented black women, and it's important to pay attention to it. Gay is having a moment, and thank goodness. A longtime writer, she gained notoriety in 2014 with her book of essays, Bad Feminist . She published An Untamed State the same year. Set against the backdrop of Haiti, An Untamed State tells the story of a woman named Mireille Duval Jameson who is kidnapped in front of her husband and son, and the trauma that inflicts upon her and her family. And Prince-Bythewood couldn't be a better collaborator. The 46-year-old director and screenwriter is well-known for helming such films as Love And Basketball and The Secret Life Of Bees; her most recent film, Beyond The Lights, was nominated for a slew of awards including several NAACP Image Awards, as well as an an Academy Award for Best Original Song. The latter film starred Mbatha-Raw, who, according to Deadline, will play Jameson in this film. Earlier this year, Gay commented on Hollywood's race problem in an op-ed in The New York Times. Confessing that she was a lifelong lover of movies, Gay wrote of the lack of diversity seen amongst award show nominees. "Yet again, people of color were told, both implicitly and explicitly, that our stories and ways of seeing the world are not as valuable. We were told we should be satisfied with the scraps of recognition received in years past." And speaking to her own experience, Gay said the inspriation she drew from the films she loved "thwarted" the hope of being able to tell her own story. "That there seems to be no place for people who look like me in movie making doesn’t keep me from writing or working," she wrote, "But I am constantly aware of the iron ceiling above me." Gay, though, also expressed hope in her New York Times piece, pointing to the Academy's decision under President Cheryl Boone Isaac to double the number of women and academy members of color by 2020. Now, she is more than just a writer and a lover of films: Gay is officially a screenwriter, and An Untamed State is sure to be outstanding — so much so that it's not out of the realm of possibility for her to get an Oscar nomination for screenwriting. Finally. The announcement of the collaboration should excite everyone who cares about visibility and inclusion on film: Three powerful black women telling the story of a powerful black woman is exactly the kind of story that needs to be told on screen. Prince-Bythewood put it best in New York Times Magazine in fall 2015, saying: "Last year 93 percent of movies, even with a female protagonist, were from a male point of view, and that is really scary because films really can shape how you think about things, and thus shape your view of women." And these are three women who should be seen as forces to be reckoned with.